Apartment house renovation program, which has already received more than 1,000 applications, the government granted another 15 million. Ministry of Economy (MoE) as prepared by the Cabinet of Ministers (CM) provides rules to determine the activity “apartment houses Improvement of Heat” the tenth round of project selection is available for the remaining activities of the European Regional Development Fund (ERDF) from the previous project selection rounds and surplus obligations funding of 15 million lats. Until the OF 12. September the Latvian Investment and Development Agency (LIDA) 1087 received a total project applications for co-financing the renovation of apartment buildings. Most project proposals received from Courland (298) and Vidzeme (257). From Riga Region received 208 project applications from Zemgale – 179, but in Riga – 97. While the lowest activity was found in Latgale – 48 project applications. 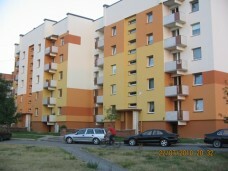 Activities “apartment houses Improvement of Heat” to September 12 within the LIDA has signed 436 contracts for aid renovation of apartment houses, and co-financing rate for these projects is 27.79 million. Along with Amendments in the plans to determine the need for further actions to be supported within the building energy recovery system installation and building of engineering systems atvirzīšana the insulated surface. The project application but will not be accompanied by building an inventory item, but will be accompanied by a contract for the technical design of simplified renovation or design documentation and heat supplier certificate of building energy consumption. “Investment in housing insulation is effective because it leads to the significant savings in heating energy, which also reduces costs for heating apartment owners after the renovation,” EM range. In addition, the positive impact on the construction industry, increasing the scope of works Latvian. It should be noted that by June this year it was fully completed 121 apartment home insulation. © 2012-2019 SIA "House Manager" Property management!